Sen. Chuck Schumer and Rep. Nancy Pelosi, who lead the Democratic Party in the Senate and House of Representatives, said in a joint statement that "Attorney General Barr must not give President Trump, his lawyers or his staff any ‘sneak preview' of Special Counsel Mueller's findings or evidence, and the White House must not be allowed to interfere in decisions about what parts of those findings or evidence are made public." "The Special Counsel's investigation focused on questions that go to the integrity of our democracy itself: whether foreign powers corruptly interfered in our elections, and whether unlawful means were used to hinder that investigation. The American people have a right to the truth. The watchword is transparency," the Democrats' statement continues. 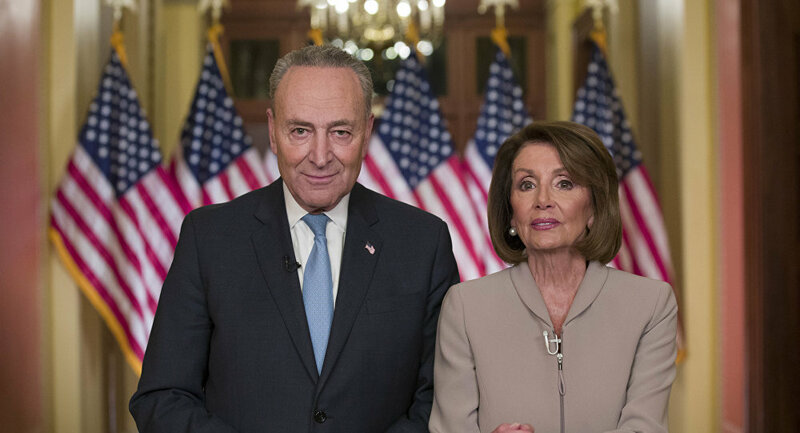 However, there's an interesting bit of congruence in liberal and conservative positions: "It is imperative for Mr. Barr to make the full report public and provide its underlying documentation and findings to Congress," Schumer and Pelosi said. Likewise, Republican Rep. Doug Collins, the ranking member of the House Judiciary Committee, tweeted Friday, "I expect DOJ to release the special counsel's report to this committee & public w/o delay & to maximum extent permitted by law." "The Attorney General has said he intends to provide as much information as possible," Senate Minority Leader Mitch McConnell (R-KY) said in a statement. "As I have said previously, I sincerely hope he will do so as soon as he can, and with as much openness and transparency as possible."